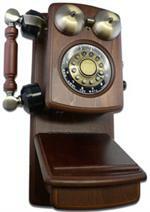 Antique wooden phones are an excellent combination of old fashioned design with modern technology. 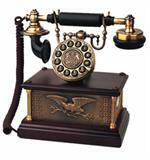 These wood phones feature real wood with brass accents to give them a vintage look and feel, but feature modern telephone accessories like redial, volume controls and switchable pulse tones. 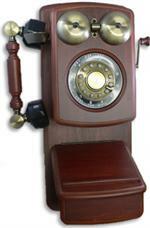 Crafted of quality materials, these reproduction antique phones are sure to be quite the eye catcher in your home.